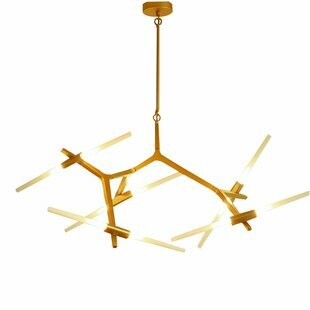 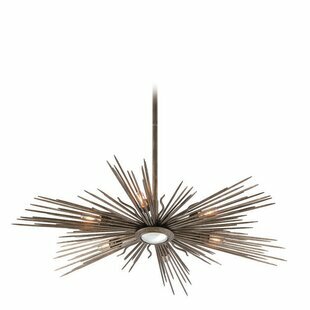 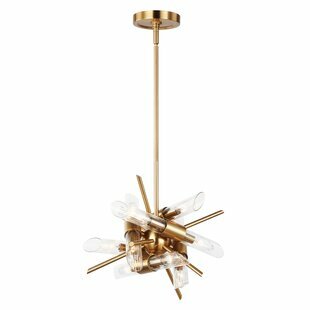 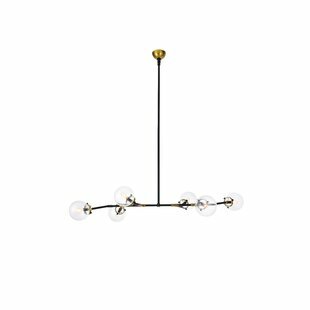 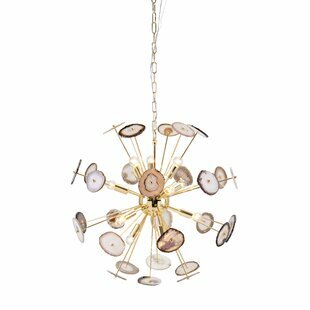 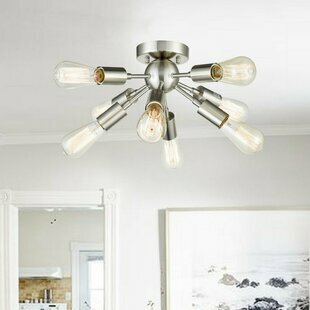 This quintessential starburst silhouette of this suspension fixture is fun and playful while still being tailored and elegant. 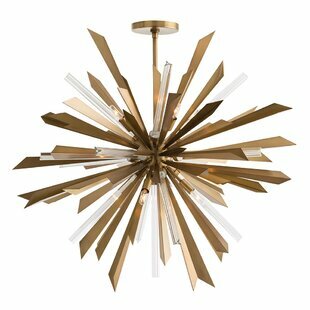 It can sparkle as the crowning jewel of an ultra-modern dcor. 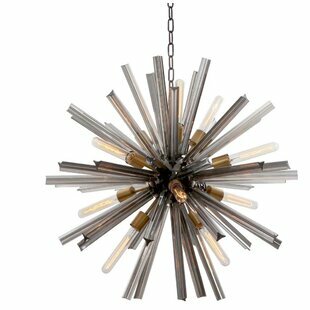 Or just as successfully, it can be a dramatic statement piece in contrast to a more classic or eclectic setting. 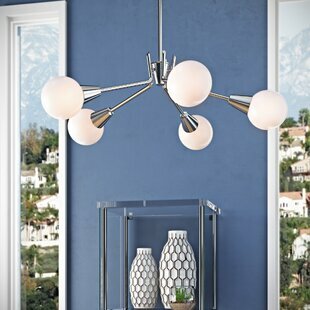 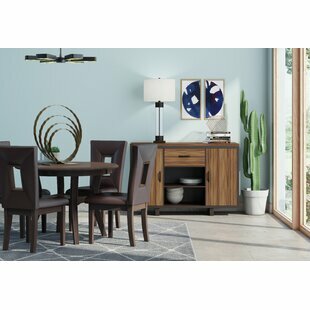 Perfect for living room lighting, dining room lighting or as an entryway light, the solid acrylic arms are squarely facetted to ensure they glow from the integrated LED light source shining from... 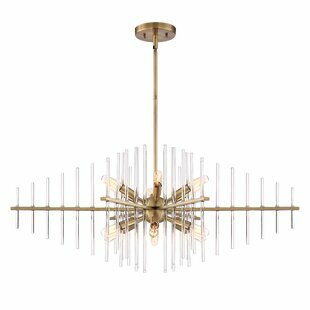 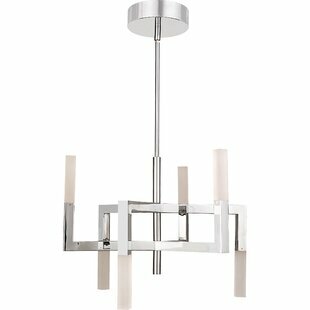 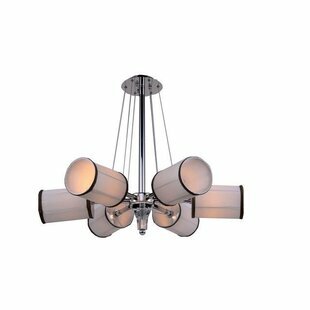 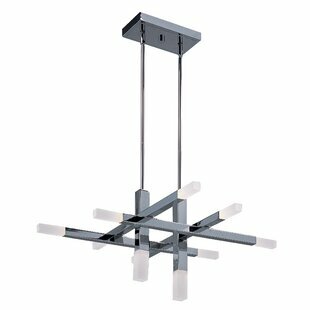 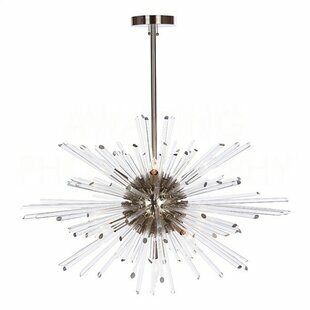 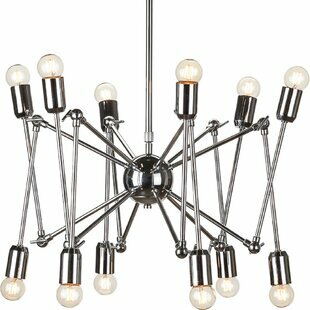 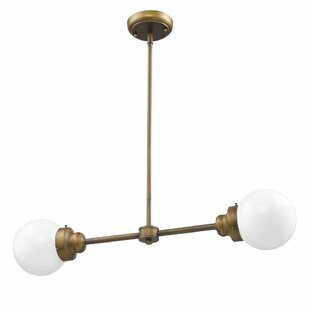 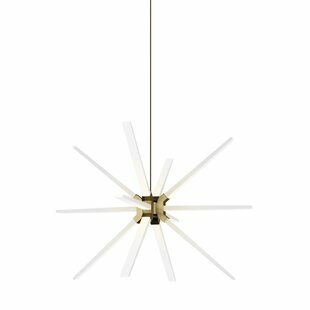 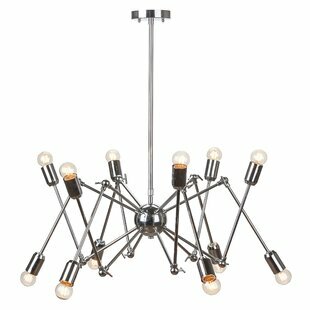 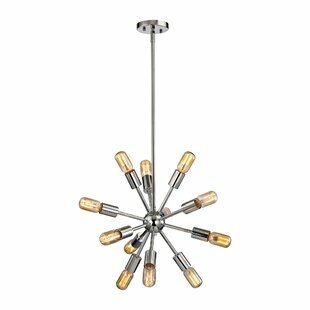 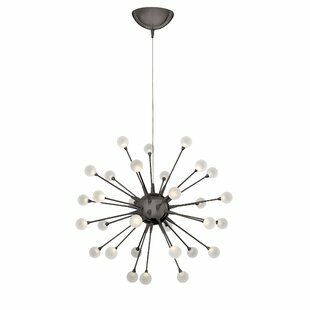 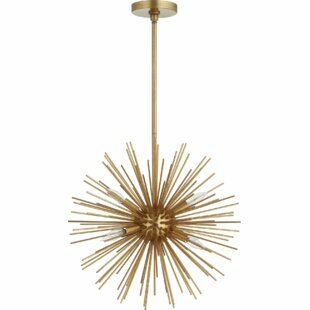 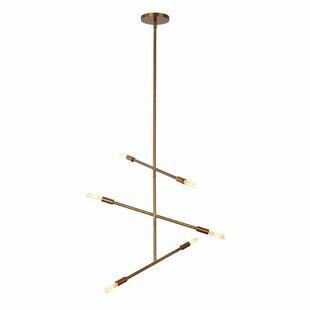 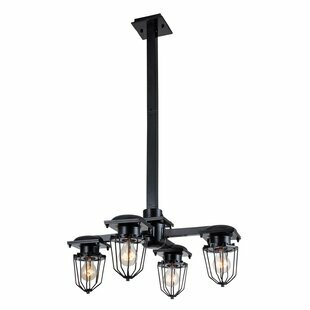 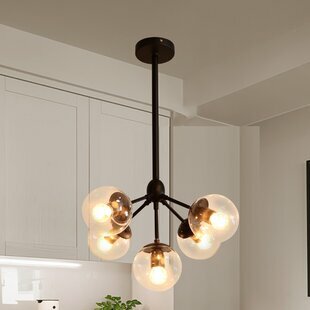 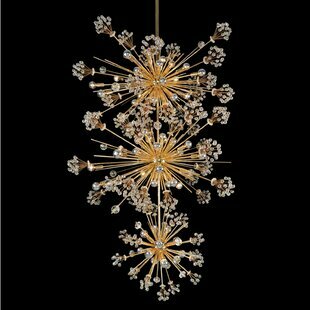 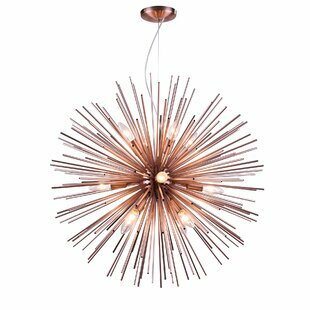 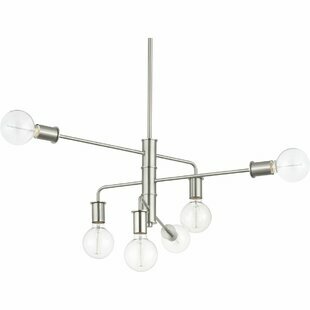 Number of Lights: 12 Fixture Design: Sputnik Overall Height (Hanging): 23.5 Fixture: 23.5 H x 34 W x 34 D Overall Weight: 9lb.